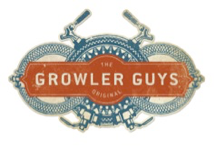 The Growler Guys is a new way to enjoy craft beer. Stay for a pint or stop quick for some suds to-go. Choose from 48 taps, with 10 chances to win free beer for a year. Taste international craft brews, taster trays, and more. Quick service menu offers scratch pizza, wings, and hot sandwiches.